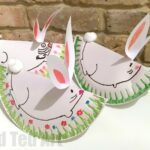 We spotted this lovely little rocking paper plate sheep over on Little Crafty Bug and KNEW we had to have a go (btw, do pop over for some rocking chicks and pigs too!). 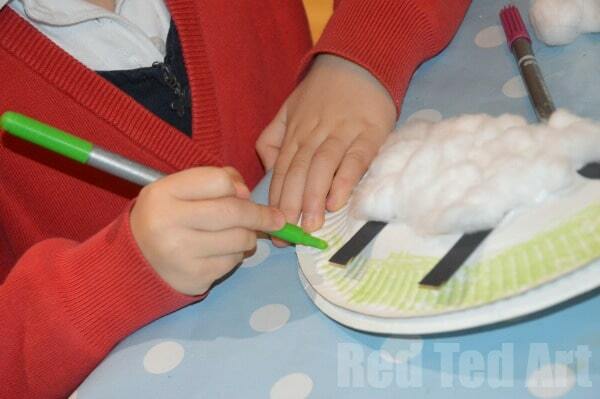 The little Paper Plate sheep are so easy to make and the kids will LOVE having a go! 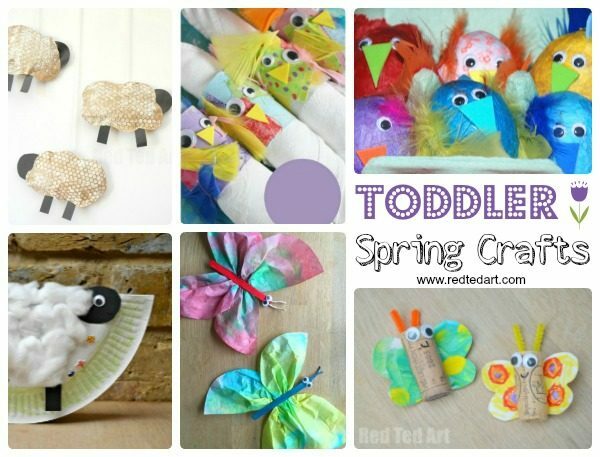 This little sheep of course is a perfect Spring craft for Preschoolers. 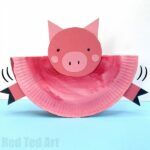 But as 2015 is the Year of the Sheep, you could make this in conjunction with Chinese New Year too! Well why not… it is SUCH a cute little rocking sheep! 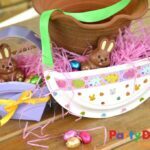 We have since also made a rocking paper plate bunny rabbit (seriously adorable too)! 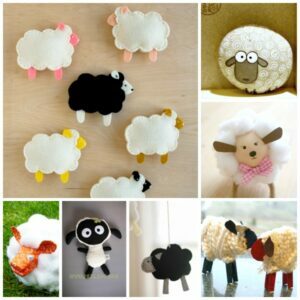 And I just KNOW you will love this collection of Cute and Easy Sheep DIYs as well!! 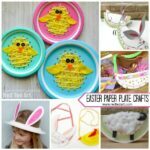 We have lots more adorable Paper Plate Easter Crafts for you as well! 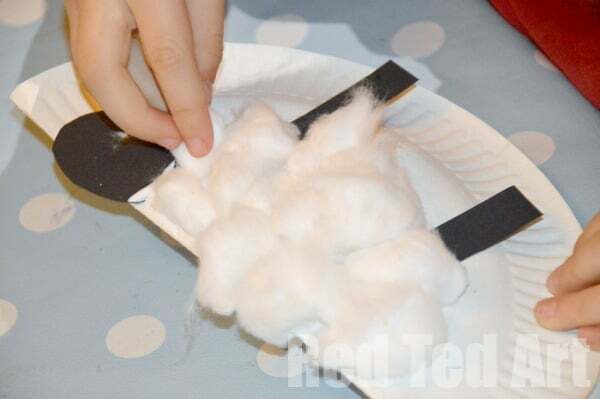 We also had a go in Pip Squeak’s Reception class (4-5yrs olds) and to make the craft more eco friendly and thrifty we used shredded paper instead of the cotton wool as shown in the image above! 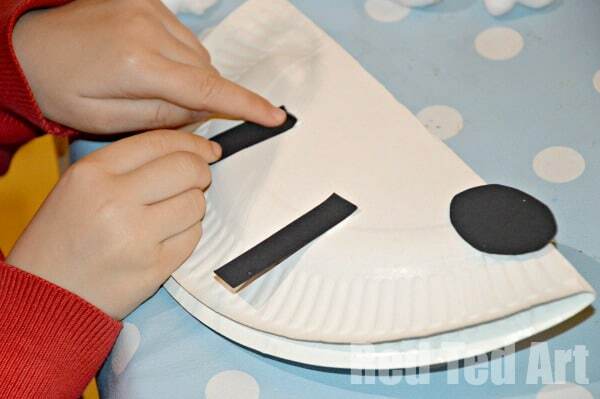 Fold your paper plate in half and glue on your legs and head! 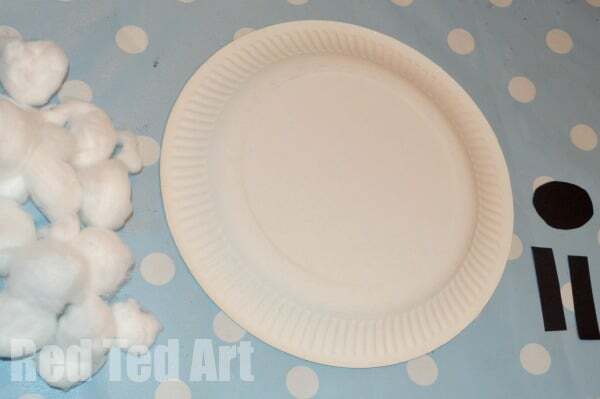 Squirt lots of glue on your plate and then add your cotton wool to your paper plate sheep. 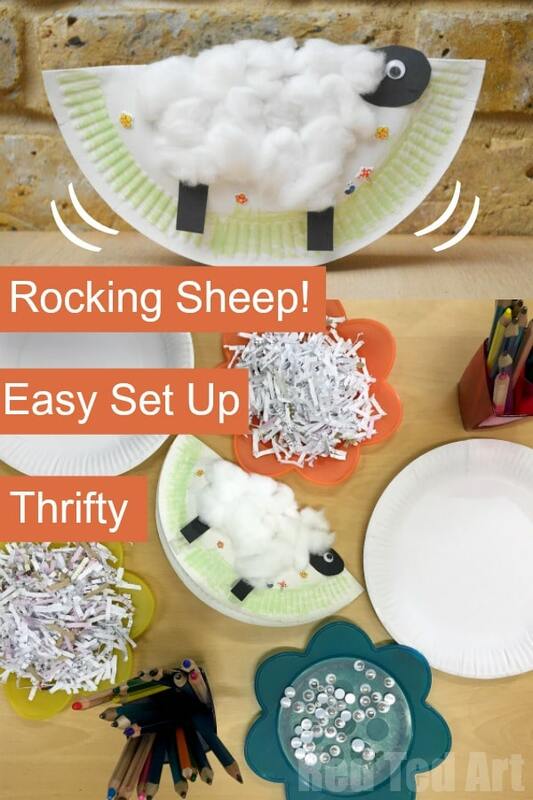 You can use shredded paper to make your sheep too! Now add your googly eye. 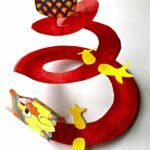 We also added a little mouth, but you can’t see it so well on the photos. 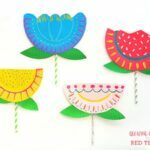 Pip Squeak then coloured in the rim of the paper plate to represent grass and also added some of her flower and bug stickers as cute little details. 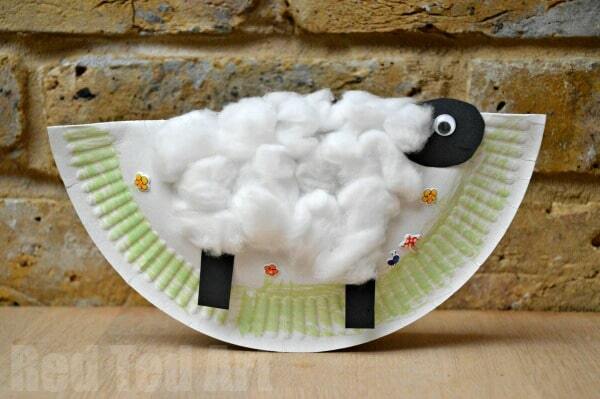 And your rocking paper plate sheep is finished!! Ta da! You CAN add a little glue to the top inside of the rocking sheep, to help secure it a little and prevent it from “opening” up again. 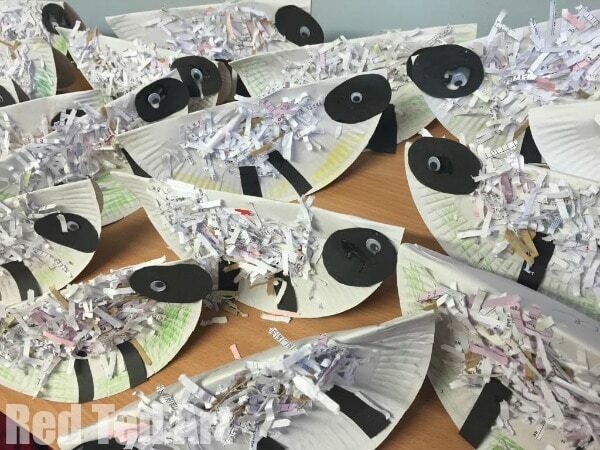 As mentioned, we also adopted these for the classroom and to make the Rocking Sheep craft super thrifty and eco, we used shredded paper for the bodies instead of cotton wool! 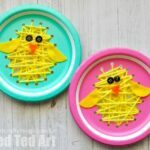 The kids still LOVED the craft and the results are adorable! Don’t forget to check out our Paper Plate Bunny version too – I simply ADORE IT!!! 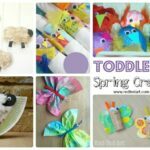 As well as more ADORABLE Lamb & Sheep Crafts you simply must see!